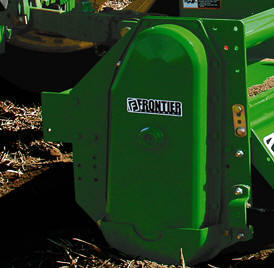 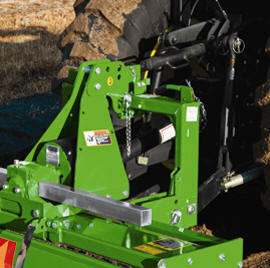 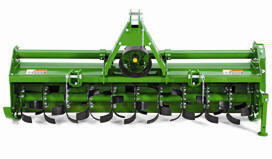 Implement-to-tractor hookup is simple with the Quick-Coupler Category 2 compatibility. 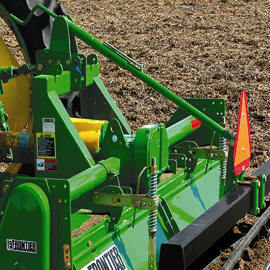 If the rotary tiller is equipped with the optional cage roller, the unit will still be equipped with skid shoes for wear protection. 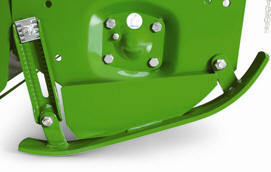 The gearcase is protected from abrasion and premature wear by the heavy-duty wear shields.